In this day and age, consumers have found ingenious ways to reduce their grocery shopping bills by as much as 90%. Additionally, you can get big, money saving discounts on household goods, clothes, accessories, and even furniture. Now, you will need to be organized and dedicated to the world of extreme couponing, but there are also loads of apps, programs, and tools that will save you valuable time. Secure Data Recovery is another company that offers one of many tools that couponers need to include in their routines. Think of all the time that you spend creating spreadsheets and documents to track your purchases, savings, and overall household budget. By backing up your documents you can get your couponing done in record time. If you normally do all of your grocery shopping on Saturday morning, you have to have your shopping list prepared and all of your coupons ready to go no later than Friday night. Otherwise, you will probably end up being disorganized, which could lead to you missing out on impressive sales. Organizing your coupons and looking up new deals the same time each week or month will enable you to dedicate less time to the practice while maximizing the results you get. Most households buy the same kinds of products regularly. If you are the parent of babies or toddlers, you more than likely need to constantly purchase disposable diapers, wipes, and age appropriate snacks for your children. If you enjoy decorating your yard every October in celebration of Halloween, then you more than likely buy candy in bulk as well as decorations in the month leading up. Having spreadsheets available can help you to track down the coupons that you regularly use as well as estimate how much you usually spend. Organize each template so that you only need to fill in the totals and you won’t have to spend hours couponing. Retailers and manufacturers almost always release coupons on a set sample. For instance, if soap and paper towels are on sale this week, then it might be dairy products and eggs on sale the following week. Major department stores also have seasonal and even annual sales that fall on the same day each year. Rather than buying something that you need for your home one day and then finding out that the same product goes on sale a few days later, you should learn what kinds of coupons are released according to the cycle they run on. It will probably take you a full year before you get a feel for all the cycles, but your time will be very well spent. When you’re finished, incorporate the coupon sales cycle data into your spreadsheet and make your computer your couponing base. 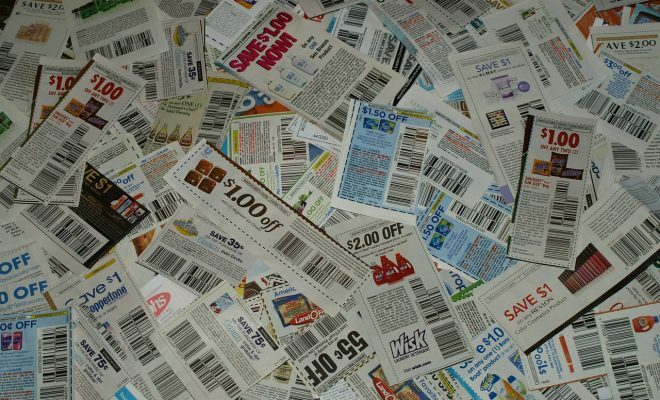 At the start of your couponing journey, you’ll probably need to sit down for a few hours to get everything organized. You’ll also be cutting so many coupons that your hands will become a bit tired. After that, no more than 30 minutes a week needs to be spent saving your household hundreds of dollars a month on home goods and groceries.